“But as many as received Him, to them gave He power to become the sons of God,…” John 1:12. “It was a wonderful thing for God to create man, to make mind. The glory of God is to be revealed in the creation of man in God’s image and in his redemption. One soul is of more value than a world…. The Lord Jesus Christ is the Author of our being, and He is also the Author of our redemption, and everyone who will enter the kingdom of God will develop a character that is the counterpart of the character of God.” –God’s Amazing Grace, p. 246. “God’s power is a central theme of scripture. In the Old Testament record we find that boundless power manifested in the stories of creation and the flood, the plagues of Egypt, the crossing of the Red Sea and the river Jordan; in short, the entire history of Israel. The demonstrations of spiritual power are no less impressive than the physical. We read about the transformed lives of Enoch, Jacob, Joseph, Moses, Aaron, Daniel, and many others who knew and experienced in their lives the mighty power of God. “The New Testament knows no decline of God’s power, still revealed in the great acts of creation and redemption. The sick are healed, graves are opened, storms are stilled, and, significantly, lives continue to be transformed. The profligate become pure, and the sinful become sanctified. The persecutor Saul becomes the apostle-evangelist Paul; the vacillating Peter becomes the steadfast martyr; the fiery son of thunder, John, becomes the leading example and exponent of Christian kindness and love. Power–immeasurable, almighty, all-enabling power–continues to be a central theme.” –Ralph Larson, Tell of His Power, 1989, p. 2. 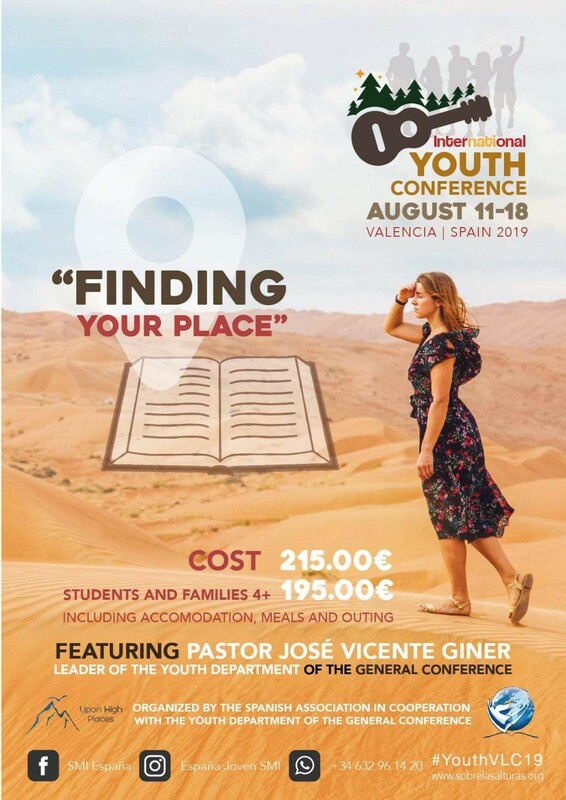 This Youth Inspiration Week is an opportunity not just to study about Jesus’ power but to experience it and to make the commitment that will prepare the young people’s hearts and minds to receive the promise, “And it shall come to pass afterward, that I will pour out My spirit upon all flesh;…” Joel 2:28. In addition to printing and providing copies of these study booklets to the young people in their group, the youth leaders are encouraged to lead by example and training so the young people will be empowered to glorify the Lord Jesus Christ. We also request each local church, field, and union to support the General Conference Youth Department with regular offerings.